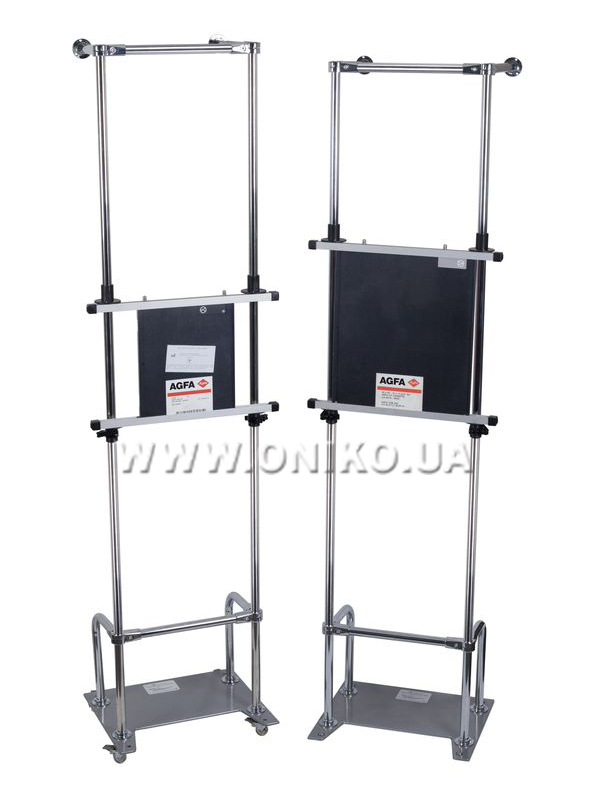 Rack consists of: a tripod with a base and channels moved on the couplings between which an image receiver is installed. Couplings of the lower channel at the required height are fixed with clamps. Tripods are made in 2 versions: with the base on the legs and on the wheels with stoppers for fixing them; detachable chin screen used in studies of the lungs and internal organs. The screen is installed on the upper channel catches.